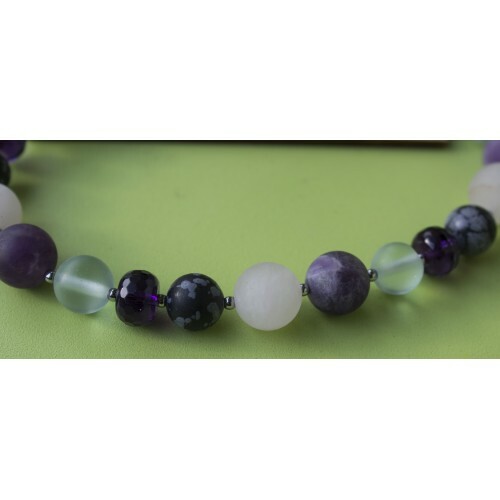 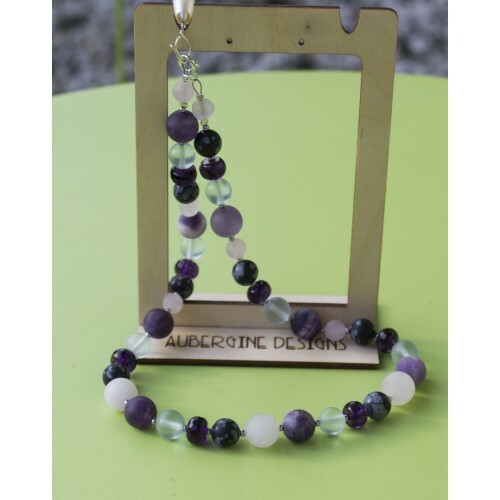 A very unusual and beautiful necklace comprising various matte finish gemstone beads, sea glass and featuring grade A faceted amethyst rondelles. 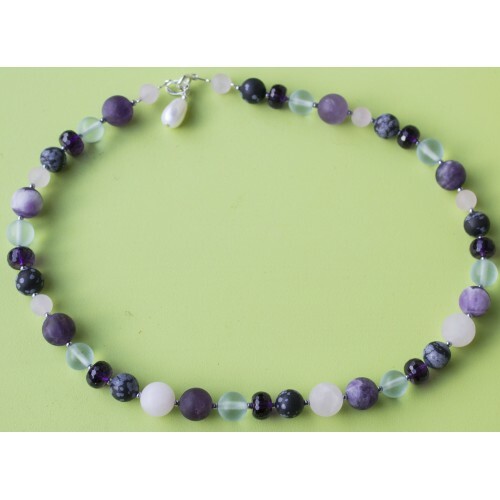 All are interspersed with little silver hematite spacers. The faceted amethysts are a glorious bright purple colour and very high grade.